on 09 May 2016 . MUHAKAT wrapped the CPDF "Certified Professional In Demand Forecasting" workshop lead by Dr.Hans Levenbech from the IIF "Institute Of International Forecasters " with attendees from Teeba, Ezat Marji , Dar Al-Dawa , Manaseer Cement among other companies. 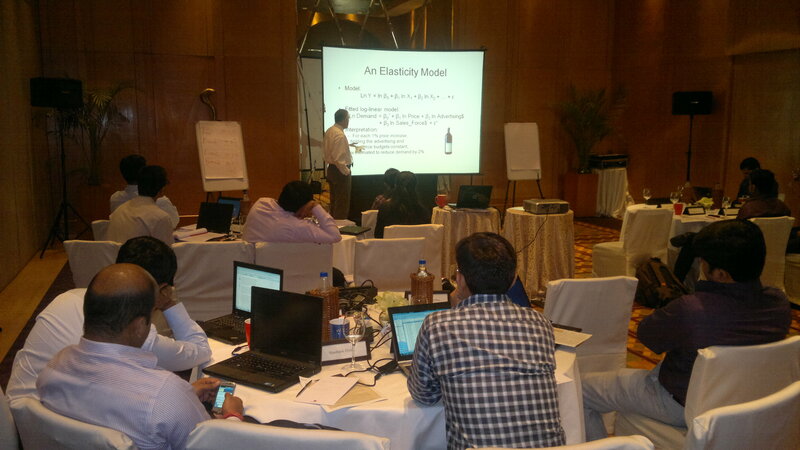 The workshop was very handy and brought great edge of practical knowledge and know how in forecasting function , Dr.Hans shared wealth of information on best practices of forecastind during the two days course at teh 4th and 5th of May. on 15 April 2016 . Carol Ptak’s expertise is well grounded in practical experience as a successful practitioner, consultant and educator in manufacturing operations. Her pragmatic approach to complex issues and dynamic presentation style has her in high demand worldwide on the subject of how to leverage these tools. Carol Ptak is the Past President and CEO of APICS, The Educational Society for Resource Management. Carol Ptak is the author of numerous articles and books. Her Book, Necessary but not Sufficient was co-authored with Dr. Eli Goldratt. Most recently, Carol Ptak co-founded The Demand Driven Institute (DDI) and co-authored the Orlicky’s Material Requirements Planning, Third Revised Edition in order to proliferate and further develop demand driven strategy and tactics in industry. What are the advantages of obtaining the Ptak Scholarship? If application is accepted, candidates will get a substantial discount to attend The “Certified Supply Chain Analyst” certification program for 550JD ONLY including Exam Fees & one Free exam retake. The original Price is 800JD for the course attendance. Who is a perfect candidate the Ptak Scholarship? We are looking for those individuals that are planning to enter the field of supply chain management whether they are directly or indirectly involved with customers, suppliers, flow of materials, flow of information, or part of improvement initiatives such as creating a lean supply chain. Fresh Graduates and students are also welcome to apply for the Scholarship. How do I qualify to the Ptak Scholarship? What is the deadline of submission? Applications submission starts from 14th of April up to 14th of May. Are we going to accept all applications? No, we will only select 10 candidates. When do I expect to hear back about my eligibility? Due to the number of application we receive, we expect that we will get back to you in the course of next ten day. Are there Special conditions if my application gets accepted ? This Grant is one time use and can’t be shifted to the next course. You can’t pass the grant to a friend or someone else to attend in your behalf. on 06 April 2016 . The 4th CPIM Course in amman jordan cam to an end with great participation from the Supply Chain Youth of jordan . a great attempt to bridge the supply chain talent gap. We are Glad to announce a new course and a great addition to our education , The "Certified Professional in Demand Forecasting"
The course will be lead by International Speaker Dr.Hans Levenbach who brings 40 Years of experience in Demand Management , Dr.Hans lead enoumerious similar courses world wide and now its Jordans Turn. Talented Candidates for CSCP Are on The Way! on 31 March 2016 . Muhakat ends up one of the most exiting CSCP student gatherings with high hopes and a remarkable experience for these Supply Chain professionals. MUHAKAT is Glad to announce the opening of the third APICS CSCP "Certefied Supply Chain Professional" course for 2016 .
on 28 February 2016 . With a wealth of experience, Students of the new CSCP course are sharing their diversed experties in addition to the professional educational material of APICS. 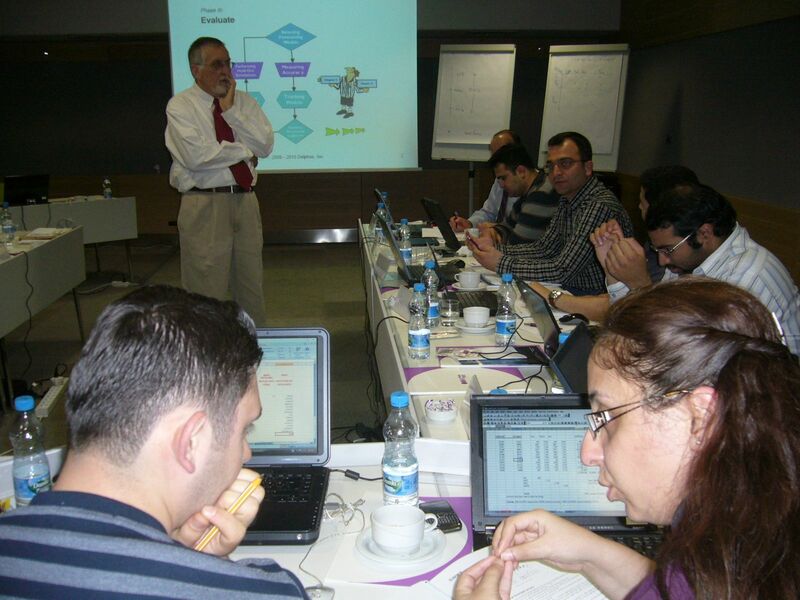 All are welling to get certified so that MUHAKAT will be completing 100 certified supply chain professionals in Jordan. MUHAKAT Partners with ISCEA "The International Supply Chain Education Alliance"
MUHAKAT is thrilled to announce the signing of partnership agreement with ISCEA , with this MUHAKAT will be offering a wide array for Business and Supply Chain management courses to the public and private sectors in jordan . About ISCEA: ISCEA, The International Supply Chain Education Alliance, conducts many workshops to improve the knowledge of Manufacturing and Service industry professionals worldwide. ISCEA’s mission is to be a single source for Total Supply Chain Knowledge through Education, Certification, and Recognition. ISCEA is the developer of internationally recognized certification programs of Certified Supply Chain Manager (CSCM), Certified Supply Chain Analyst (CSCA), Certified Lean Master (CLM), and Certified RFID Master (RFIDSCM). ISCEA is the governing body for the Ptak Prize. ISCEA members hold mid to upper supply chain management positions in Global 2000 companies. "What is REALLY Supply Chain?" .. A fruitful discussion with the right people..